The idea of Black Friday as this sort of mythical day of major sales is ingrained into the minds of the American public. For decades, people have stood outside of stores after Thanksgiving Day, waiting to find the best deals. But a growing number of people are questioning the wisdom of Black Friday. A recent study of US and UK consumers found that support, and sales, from in-store Black Friday sales may be slipping. First, let’s put to bed the old wives tale that Black Friday is named such because it’s the day of the year when many business leave the red (debt) and enter the black (profit). This isn’t true. Most business are profitable most of the year. If department stores were in the hole 11 months out of 12, why stay open the other 11 months. In fact, the term Black Friday started from public safety officers who used Black Friday to denote the increase in fatal traffic accidents after Thanksgiving. Marketers wanted to lose that killer connection, so the modern origins of Black Friday came to be. The problem is that consumers are getting wise to marketers tricks. According to a recent study from Periscope, 31 percent of US respondents state that they have always disliked shopping on Black Friday, and 29 percent believe it is simply a marketing trick with retailers manipulating pricing to convince consumers they are getting a good deal. As was stated earlier, this is interpretation isn’t exactly untrue. This isn’t just about consumer doubt, brick and mortar retailers may see less traffic and revenue from in-store Black Friday sales. According to the report. half of US (51%) and UK (48%) respondents confirmed that they have no plans to shop this year. Of course, some people will go shopping in store on Black Friday, but now that they know Black Friday isn’t necessarily the best price, the actual number of purchases may go down. Of those who will make a purchase, only 7 percent of US and 4 percent of UK shoppers say they will limit most of their Black Friday shopping to stores, with most preferring to shop online, or do both. 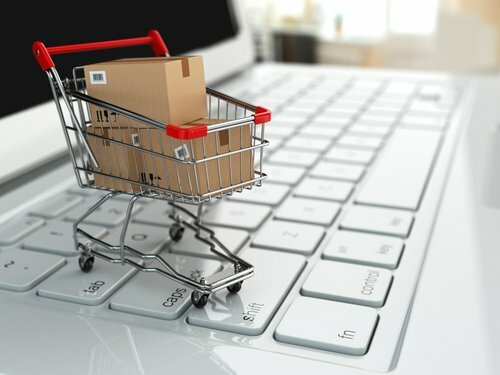 Commenting on the findings, Channie Mize, Global General Manager for Retail at Periscope said, “The research highlights that consumers consider the Black Friday experience stressful and inconvenient compared to shopping online. The physical store is not dead, but struggling. Retailers need to find new attractive ways to draw consumers into their stores, using data-driven insights to inform the buying, assortment and promotional activities to maximum effect across all channels, giving customers the great experience they crave. The end result is the need for business owners and marketers to push their deals to customers online and through mobile marketing. Why travel to store to store when you can just search for deals online. Data from the study supports this. Desktop devices remain dominant with 60 percent of US planning to use them this shopping season. Tablets are gaining popularity, but still only 20 percent of US consumers plan to use them to complete transactions. The smart phone (66% US and 70% UK) was considered the best device for getting ideas when shopping, but was behind tablets and desktop devices for deeper research and making purchases. In the end, Black Friday may not be the ultimate shopping day for in-store sales, but smart business owners with a good web presence can still have a profitable day. For more recent news about marketing, read this article on using social media for better sales.